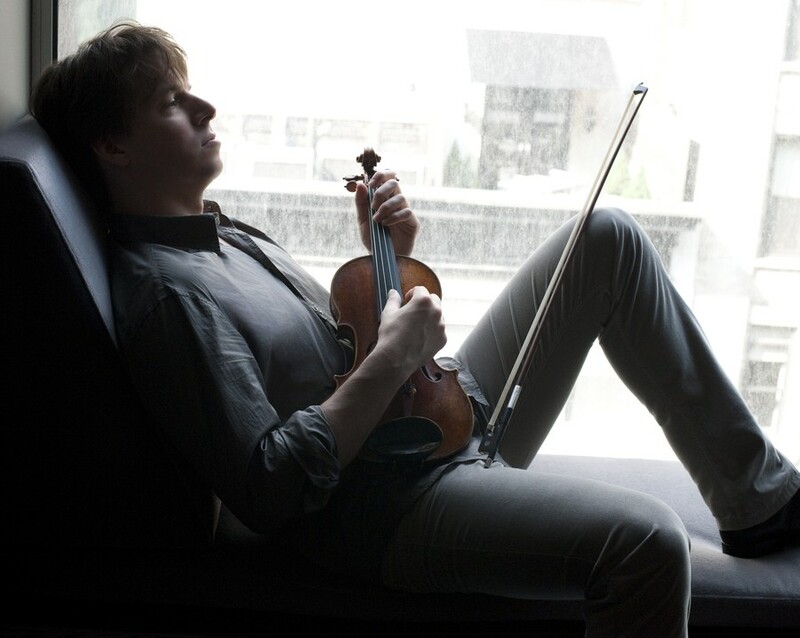 With an illustrious career spanning more than 40 recordings and countless solo, recital, and chamber engagements all over the world, Joshua Bell has taken his place in a selective pantheon of classical musicians that have become household names. In the years since his sensational solo debut with the Philadelphia Orchestra at only 14 (under current Chicago Symphony Orchestra music director Riccardo Muti), Bell’s star has only risen, marked by a willingness to tread outside of strictly “classical” territory and explore other genres. He has contributed to movie soundtracks (The Red Violin, Angels & Demons, among others) and collaborated with jazz musicians, pop musicians, and everyone in between. Bell will perform in Chicago twice this concert season: first in recital at Symphony Center later this month, and again in March with the Academy at Harris Theater. In a phone interview, Bell spoke with The Maroon about what it’s like wearing these different hats. Chicago Maroon: You’ve described this U.S. recital tour as being framed around pieces from your youth. And, as far as the lives of young virtuosos go, your childhood was refreshingly normal. In fact, your teacher—the great pedagogue Josef Gingold—wouldn’t take you on as a student until he was convinced your parents weren’t pressuring you into a solo career! Does that mean you were goal-oriented from an early age? Joshua Bell: I wouldn’t say I was a workaholic, but what I had—and still have—is a slightly obsessive nature for solving problems. Like, when I was 12, I was really into the Rubik’s Cube, and would try to figure out faster and faster ways to do it. So when I would get down to working, I wouldn’t stop until I figured something out. I think playing the violin is a lot like a puzzle, and I think my obsessive nature is what helped with my getting things done. CM: Something I’m intrigued by is how performers like you play some pieces hundreds of times—the big D-major violin concertos, for example, or the Sibelius or Mendelssohn—but still make them sound fresh, never stale nor studied. How do you do it? JB: Well, I love the feeling of going on stage and feeling like something new is going to happen. I’ve also had some great experiences playing improv: I’ve played bluegrass, I’ve played with some jazz musicians…Even in classical music, you can capture a bit of that. Though you’re not playing new notes, that spontaneity is important. That can only be done when you’ve prepared really, really well, and then you can throw all of that away and just immerse yourself in the moment [onstage]. So the hard part is actually going back to something like the Mendelssohn concerto—which I’ve done a thousand times—and working to maintain the technical level. That’s hard to do because you don’t always feel like doing that in a practice room. CM: When you do finally step onstage, are you the kind of performer who gets nervous but uses that adrenaline to your advantage? Or do you not even have the anxiety to begin with? JB: No, there’s definitely always anxiety—I think I thrive off of anxiety. There are different kinds of anxiety, though: I think there’s the excitement of getting on a roller coaster, and then there’s pure fear, which is not the kind of anxiety I want! So again, it’s about being prepared. If I feel prepared, then there’s nervousness and excitement, but it’s much more positive. In fact, if anything, it’s getting worse as I get older; I somehow feel there’s more at stake. But I do seem to enjoy that, as well as the release of stress after you’ve gotten through a performance. There’s a very nice feeling of relief! CM: This October recital won’t be your only Chicago appearance this concert season: You’re coming back in March, this time performing at Harris Theatre alongside the Academy of St Martin in the Fields, which you’ve led as music director since 2011. What factored into your decision to accept that position on top of your busy solo career? JB: Well, that was a no-brainer for me. I’d been working with the group for many, many years as a guest, and [those performances] were always a highlight of my year. It’s been sort of a dream playing with them, so when they asked me to be the music director, that was a very easy decision. Now I get to do several tours every year and play with such a great group of musicians. Their standard is so high, and they’re really striving for great performances every time. There’s never a sense that they’re just doing their job; they really keep that artistic spirit, which I love. CM: It helps, too, that your relationship with this particular ensemble runs deep: Your first professional recording was with the Academy. JB: It was, although that was many, many years ago. But I’ve been a regular guest with the orchestra for more than a decade, so they definitely know now how to respond to every cue I give them, even if I’m just raising my eyebrows. CM: Coming from that soloist’s perspective, what’s it like playing as a section musician? I mean, you are playing the concertmaster’s part and leading the orchestra, but you’re still embedded in the ensemble nonetheless. JB: Well, I’ve always done a lot of chamber music. It’s the same kind of thing as leading a string quartet, although when I lead the orchestra, there are times where it’s important that I don’t play at all and just direct from my seat. So I alternate between those roles. And 90 percent of what a conductor does, I believe, happens in rehearsal, and that’s all about having a concept of the piece and deciding on all of the little details. It’s like being the director of a film: The director has to have an overall concept, but at a certain point, they let the actors do what they do. In that way, what I do is the same as what all conductors do, whether they’re using a stick or holding a violin. What we’re doing [in the Academy] is an extreme in another way. The winds have to breathe together, since that’s the only way they can be together. It forces a lot of good habits. Also, as a smaller group, the musicians have to sit on the edge of their seats; no one can really “blend in.” You might think a 40-piece group playing Beethoven might not be as powerful as an 80-piece group, but that’s not necessarily true. When you have a smaller group that’s very live and articulated, the listener’s ear adjusts to the volume very quickly and responds much more to the articulation and energy. Actually, that can often end up creating a more powerful sensation than a huge but sluggish orchestra. But having said that, there’s nothing better than the Chicago Symphony, for example, under Riccardo Muti! So don’t for a second think I’m denigrating that idea, because with a great conductor and a great orchestra, that’s incredibly thrilling. I enjoy letting the conductor do his job and being a soloist in a big orchestra like that, if it’s a great conductor and a great orchestra. But [performing without relying on the conductor]—that’s how orchestra playing should be. I mean, I’ve heard conductors yell at the orchestra, “Don’t listen, just watch my stick!” Which is the most anti-musical thing you could possibly say! So instead of beating the piece to death, a good conductor allows a good orchestra to listen and play—only inserting him or herself at the right moments. Joshua Bell performs October 30 at 8 p.m. in recital with pianist Sam Haywood at Symphony Center (220 South Michigan Avenue). Tickets are online at cso.org, including student tickets priced at $15/each. Tickets are also available for Bell’s concert with the Academy of St Martin in the Fields on March 12, 2016 at 7:30 p.m. Ticket pricing and other details can be found on Harris Theater’s website.